An exceptional 25.50 carat blue diamond that was recovered from the Cullinan mine in South Africa in April was recently sold for $16,910,180 or about Rs.96 crores! Cullinan mine is one of the most important sources of Blue Diamonds in the world. 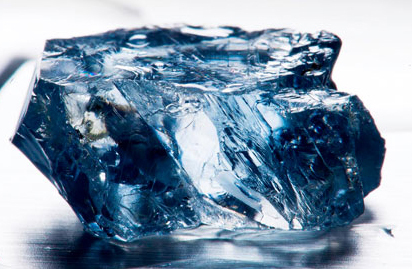 Update : 19 June 2014 : Another huge blue diamond of over 122.52 carats was unearthed at the Cullinan Mines.